In this post, I’m going to talk about why you should start a blog in 2018 and how it beneficial to you. Nowadays both vlogging and blogging become fashion. Many people write blogs and some are starting youtube channels to distribute their knowledge to others. The success in both blogging and vlogging depend on how great content develops and market it. If you are a specialist in any niche I recommend you to start a blog with youtube channel to share your valuable knowledge with others. If you have done blogging earlier, you know how your lifestyle was changed with blogging. Why I’m saying that there are plenty of advantages to blogging. In the modern developed world, you can't do anything without money. You can make your blog into an income source with hard working. To make a good income, you should work seriously and dedicate to it. There are many bloggers who make a thousand dollars per months. As a newbie blogger, anyone can succeed with the above methods. So remember blogging can change your whole life. When doing any blog continuously the writing skill of the author automatically developed. With my past experiences, I can well write a new blog post that I was in the beginning. So, I can say definitely your writing skills will grow with experiences. There is a huge market for writers on freelancer websites. You can make money for well-written articles. You can become a journalist in newspapers as well as a guest blogger for other popular blogs. So, this makes you become more famous in your niche. When updating regularly, traffic of your blog gradually increases with time. That means a lot of people coming to read your blog post. These people comment on your blog and ask a question from you. Which mean you are dealing with new friends. You will find experts and beginners in your niche. You need these friends to take your blog to the next stage. If you provide great content they automatically subscribe and follow your blog. With the time you can make a community around your blog. We always like to do things we love. With selecting a niche you loved, it's always motivating to do blogging again and again. With time this work becomes a hobby for you. Definitely, you will enjoy your work. I have said earlier, blogging need lot of time and passion. You have to wait until getting success. You have to publish a blog post once per week or two. 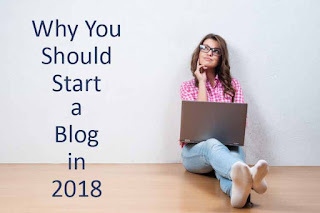 Many success bloggers publish blog post according to a timetable. If you publish once per week, you have to gather information and convert this information to a blog post within a week. You should separate 1-2 in hours in each day. So you have to change your daily works according to it. You will learn how to manage time with blogging.